Every Wednesday I take my daughter to the library. Our local library offers wonderful story times, yoga for kids and Lego workshops. We go to take advantage of these great offerings and also to trade out our books & search for new and exciting reads for our week. On our way to the children’s section, I saw a book that caught my eye, ‘Art Lab For Kids’. I started flipping through and was excited at what I saw. The book has a lot of fantastic ideas for drawing, painting, mixed media art & print making. 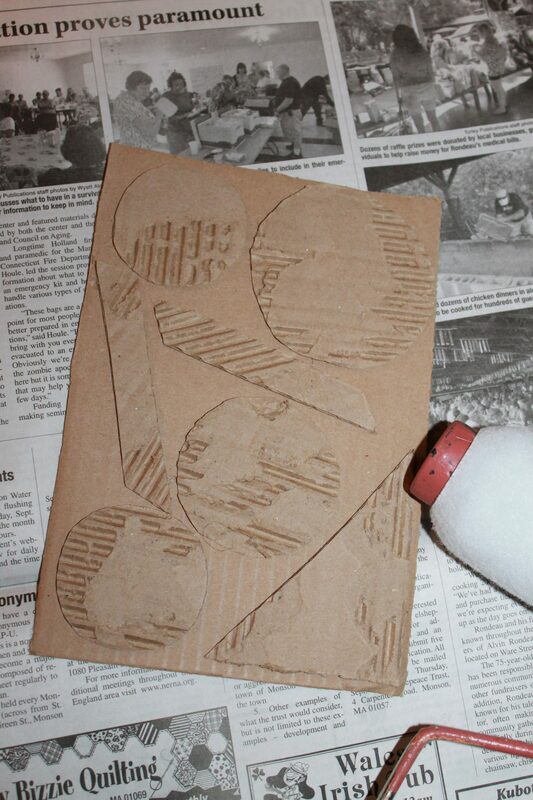 There was a chapter on printmaking and I saw an interesting idea using cardboard. Since we have a ton of cardboard, this seemed like a perfect idea. This project was inspired by this idea. 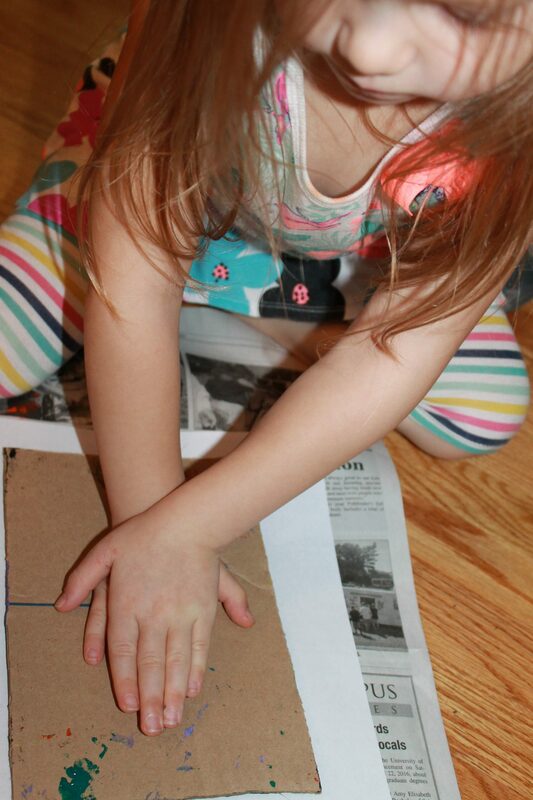 We deviated from the directions a bit & just worked with items that we had readily available. 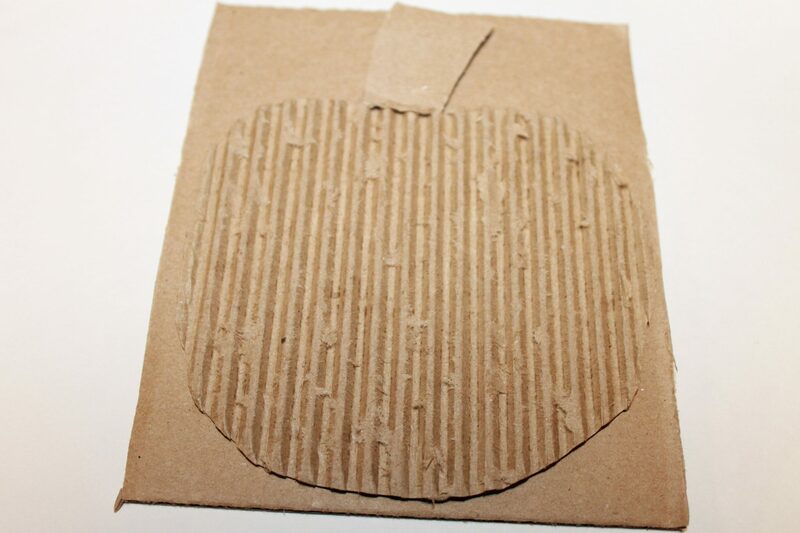 We cut the cardboard into random shapes & peeled away layers of the cardboard in spots to reveal the ridges beneath the cardboard. 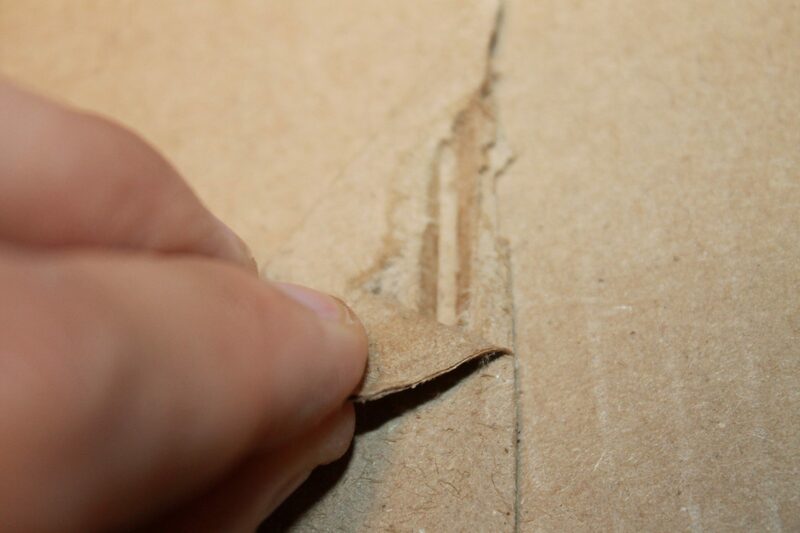 We glued the shapes onto another piece of rigid cardboard. We squeezed paint onto a paper plate & then rolled the roller into the paint and then pressed the cardboard onto a piece of white paper. 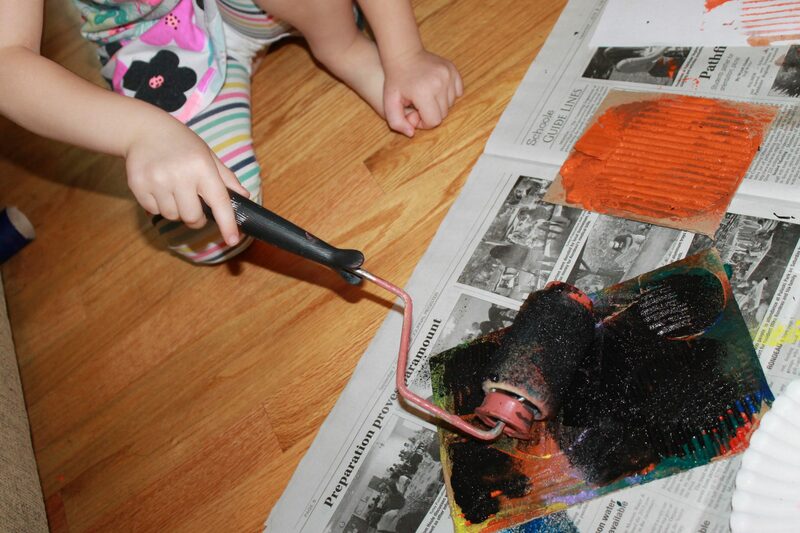 My daughter loves painting with a paint roller, so I new this would be fun for her. We tried it with all black & we tried it with color. The color looked nice, but quickly turned to muddy colors from the mixing, so for multiple prints one solid color is recommended. 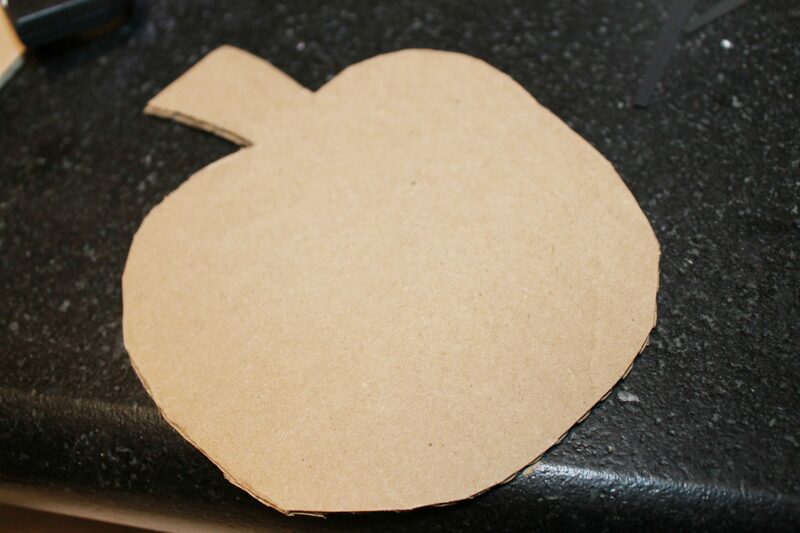 Once the shapes are covered, press your cardboard onto a piece of paper, making sure to press firmly all around. 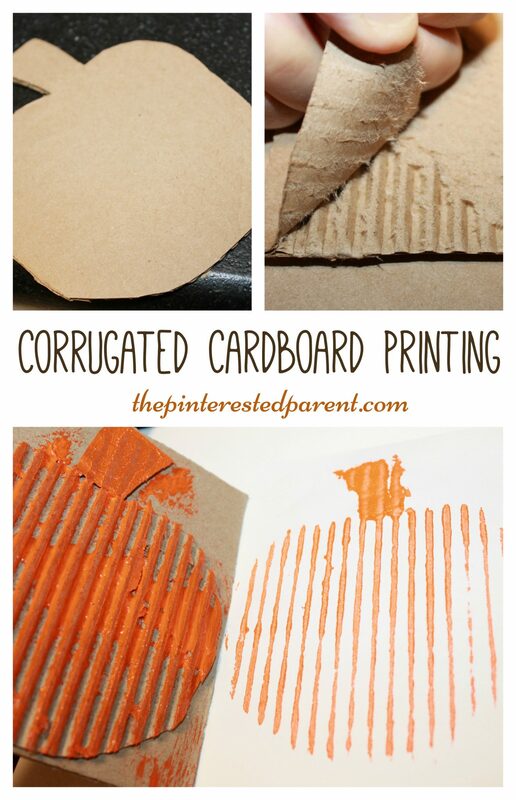 Peel off your cardboard carefully to reveal your print. 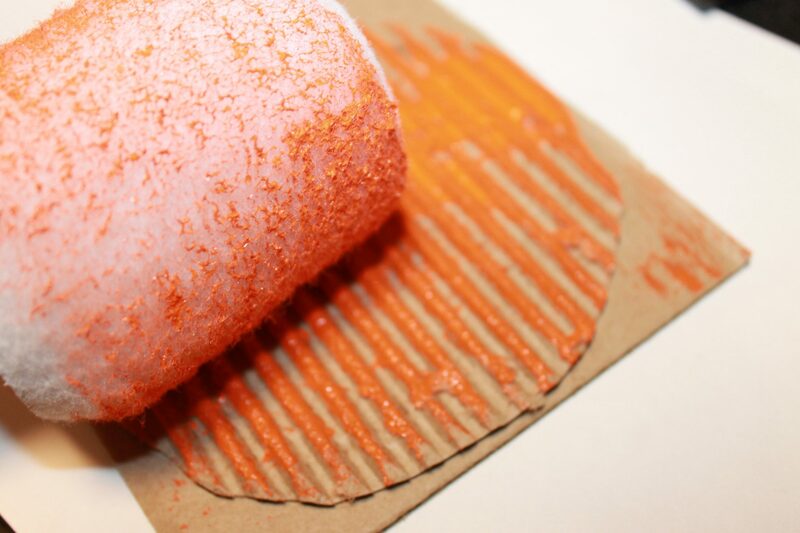 Since the fall is nearing, we used this idea to make print pumpkins as well. We used the same technique as above. We drew out the pumpkin’s shape & then cut it out. 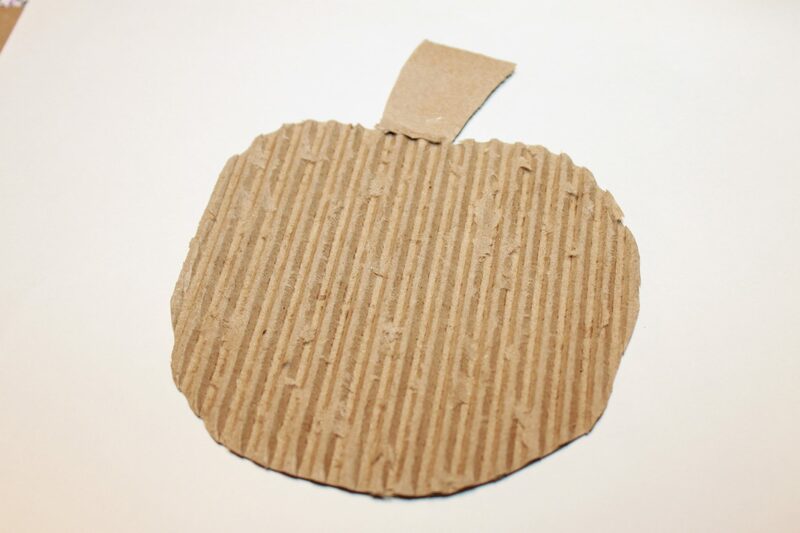 We peeled all of the top layer off of the cardboard to make ridges throughout the whole pumpkin & then glued it to another piece of cardboard. 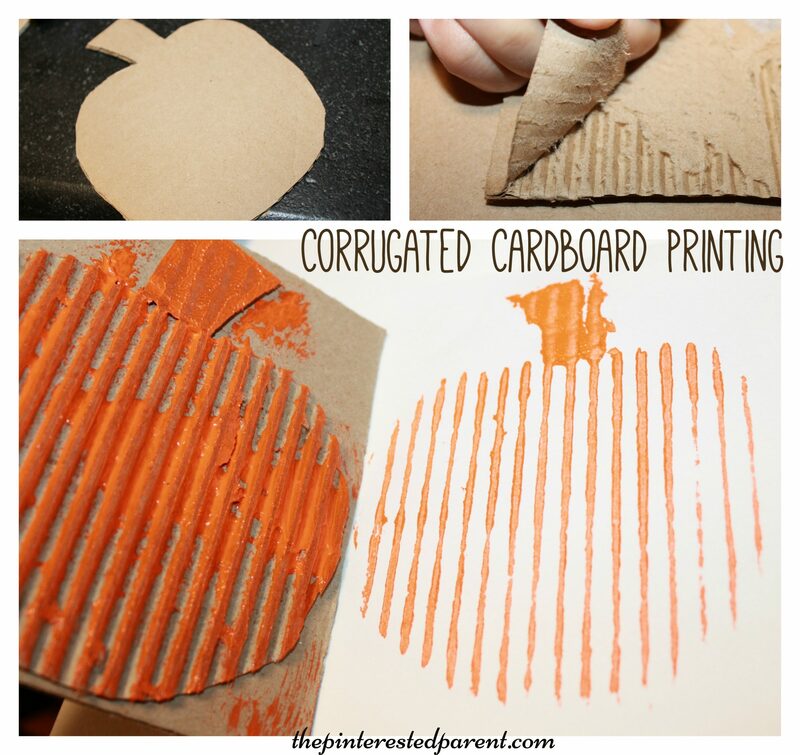 We used solid orange paint on the pumpkins and pressed them onto a piece of paper. 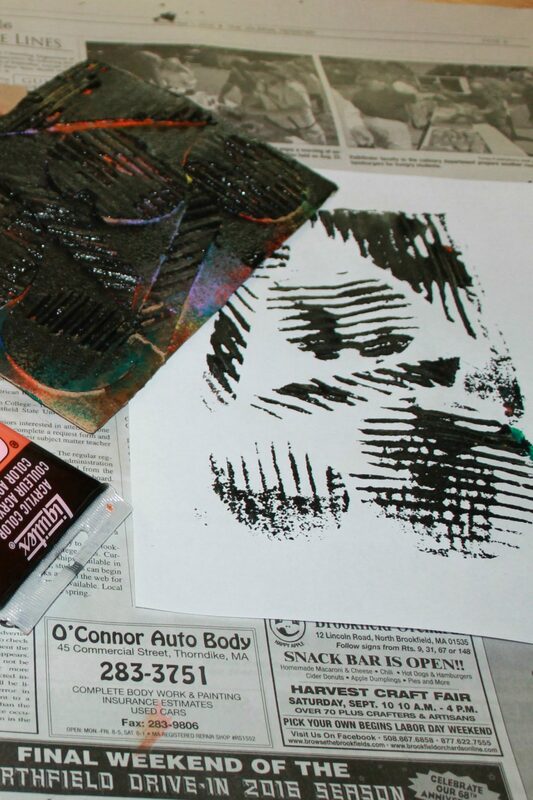 Try doing this in different fall colors & stamping side by side for a cute piece of autumn pop art. This is a fun one to experiment. 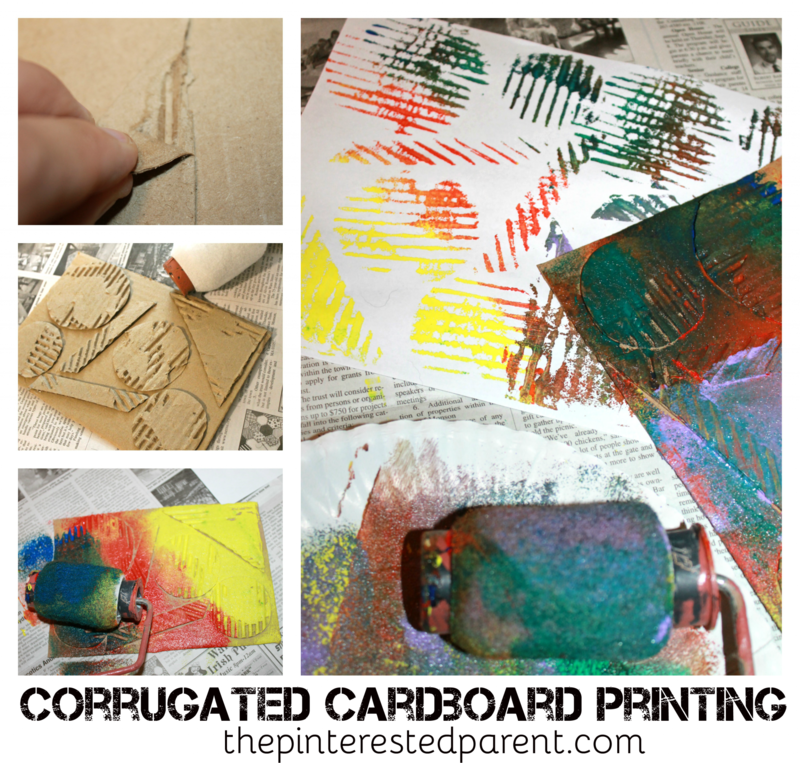 Try different shapes or peel more or less paper to create different print templates.